On Tuesday morning, two National Ag Day broadcasts were on 98.3 WSVZ New Country and The Big 870 AM, 96.3 and 94.7 FM, Newstalk WTIM as local farm broadcaster, Jared White, interviewed several guests on Tuesday morning. The WSVZ Ag Day broadcast occurred at the Farm House Family Restaurant, just east of Shelbyville. One guest that White interviewed was Scott Montgomery, the Vice President of Lending Services of Farm Credit Illinois of the Effingham office. Montgomery says ag lending has been tough due to the economy and they are trying to minimize losses. 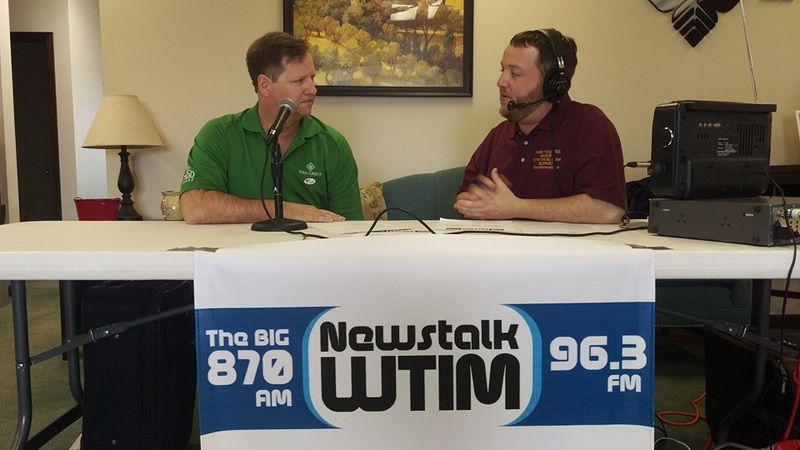 For the WTIM Ag Day Broadcast at Farm Credit Illinois in Taylorville, Dan Pollock, Regional Manager, mentioned they are part of a group called Ag Direct, which does Point-of-Sale Financing. Sponsors for WSVZ Ag Day were Farm Credit Illinois, Shelby Electric Cooperative, and York Bin Company. Sponsors for NEWSTALK WTIM Ag Day sponsors were Farm Credit Illinois and University of Illinois Extension in Christian County.